A New Ross area farmer convicted of improperly caring for his herd of cattle won't be allowed to have livestock - or even domestic animals - for the rest of his life. Nelson Eugene Millett, 49, of Fraxville will also spend 60 days in jail, adhere to a year of probation and pay $18,900 to the Nova Scotia Department of Agriculture in restitution. However, Millett's lifetime animal prohibition and other penalties won't come into affect for 60 days because provincial and veterinary officials will be working with him to ensure proper care and supervision takes place as remaining animals are removed from the property. It will be October before the jail time and other orders become live. 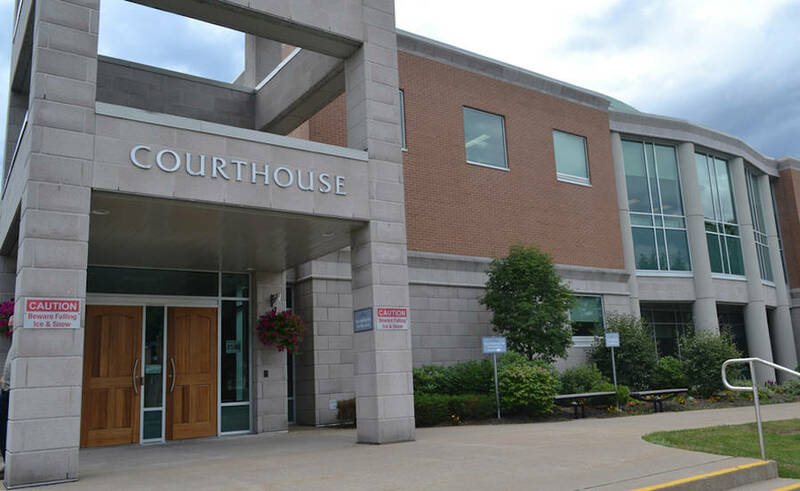 The August 15 sentencing decision brought down by Judge Cathy Benton in Bridgewater wasn't far off what Crown prosecutor Janice Rea requested. Her recommendations were met with the exception of the jail time (she requested 90 days). Defence lawyer John Shanks argued for a conditional discharge, a conditional two-year ban on owning animals, restitution and a $5,000 fine. The lawyers' submissions came during a previous court proceeding. Shanks later told LighthouseNOW he and his client would take time to "assess the sentence and its impact upon Mr. Millett, his family and his livelihood" before deciding whether or not to appeal Benton's sentence. Benton cast aside suggestions of either a conditional sentence or a discharge, saying as she passed sentence August 15 that they weren't in the public interest partly because people need to know significant consequences exist if appropriate care isn't provided to animals or steps aren't taken to alleviate suffering. "This was repeated conduct by Mr. Millett," Benton said. "Saying he did not realize until he saw the photos of the animals in court does not excuse his conduct." The judge recently found Millett guilty of failing to provide suitable and adequate care for his herd of 31 beef cattle and permitting the animals to be in distress. Millett was convicted of one charge each under the Criminal Code and the province's Animal Protection Act. The offences took place between November 2013 and January 2014. Benton trusted the testimony provided by veterinary medicine experts who gave evidence during a trial that lasted a couple of days. Twelve exhibits were introduced during proceedings such as still images and video clips. "These animals were starved," Benton said in her decision following the trial. "We can't say as to whether the starvation occurred as a result of a lack of food, insufficient nutritional food or no food, but Mr. Millett was responsible and, in his care, these animals did not receive an adequate supply of food." Nova Scotia's Department of Agriculture were summoned to Millett's community, responding to a January 2014 complaint about the condition of animals on a farm, said to be skinny, and lacking enough hay and water. The department was also told of a dead cow and an emaciated and unresponsive calf. Despite the best efforts of animal health professionals after the cattle were seized, two of the animals died. "The evidence I have accepted shows a substantial and marked departure from the reasonable care these cattle should have received," Benton commented at one point. "Mr. Millett, being the owner and operator of the farm with the cattle for 30 years, should have known better." Millett indicated during trial that he felt he was feeding the cattle appropriately and said they were thin but didn't realize the extent until he saw still images introduced as evidence. But a veterinarian told court there were signs of inadequate and insufficient feed such as minimal cud-chewing and grazing. Court heard a majority of the herd displayed signs of chronic malnutrition. Body condition measurements showed 17 of 30 cattle seized were under-conditioned or thin. One animal was found so malnourished that it had to be euthanized. Benton heard there were signs of dehydration and that animals had shelter deemed too small for them to lay down or turn around. Court heard that Millett would never intentionally harm the animals but accepts they weren't cared for in the manner they should have been, but not to the degree of what was being portrayed by investigators. Millett, who's involved with the local federation of agriculture, seeks intervention of veterinarian help more frequently and is said to have improved quality of care. Millett has no criminal record but has had previous involvement with the Department of Agriculture, the judge heard. An animal welfare inspector commented that, in her experience, Millett could take matters more seriously and needs improvement when it comes to being cooperative and compliant. She also noted having great concerns if Millett was permitted to continue farming livestock. After the province seized the remaining herd, the animals were sold; a controversial transaction that it made it to two other courts. The Nova Scotia Supreme Court ruled at one point that Millett wasn't given a chance to fix the animals' living conditions and ruled the cattle were seized "unlawfully" and "proceeds from the sale of the animals belong to the owners, not the government." But the province appealed the decision and won. The Nova Scotia Court of Appeal ruled the Nova Scotia Supreme Court justice made a mistake in interpreting and applying the provincial animal protection legislation. "The owner of any animal seen to be in distress may, for good reason, wish to remain mute in the face of questioning, or delay any thoughts of responding until legal advice is obtained," Justice Jamie Saunders' decision noted. "But that cannot and does not mean that the inspector in the field is obliged to wait around until that legal advice is received and the owner then agrees to answer the inspector's questions. Time is of the essence. Providing for the health and safety of the animals is the priority."